Wide 91° diagonal angle of view, and is particularly suited to interior architecture and sweeping landscape shots. The Voigtlander Color-Skopar 21mm f/4.0 P Pancake Lens is an ultra-compact wide-angle lens, and is designed for use with the Bessa R4M/R4A cameras. 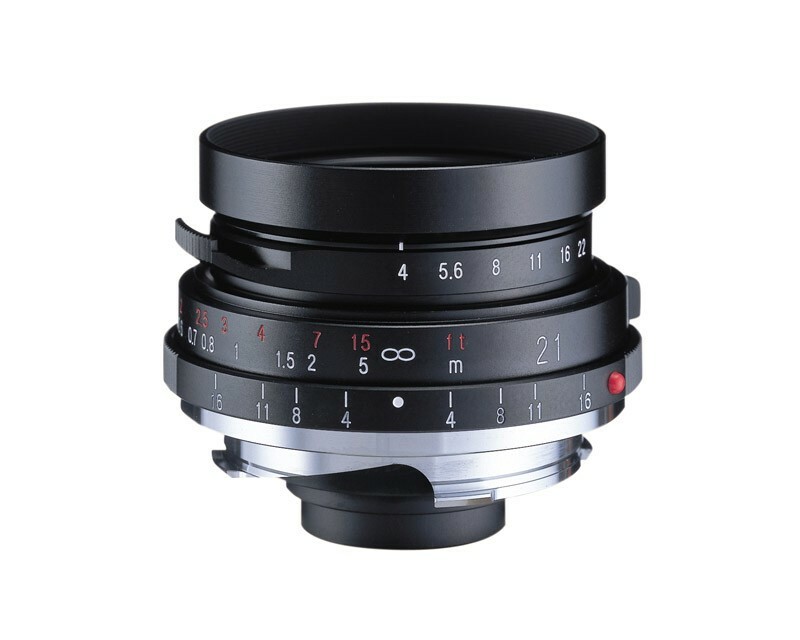 It comes with the VM lens mount, for use on any camera that uses the Leica M mount. It is especially ideal for use with the Bessa R4M and R4A cameras, since these cameras have built-in bright frames for 21mm, and use of an external viewfinder is no longer necessary. The lens has exceptional close focusing capability, down to as close as 1.5' (0.5 m). The focusing lever lets you go from minimum distance to infinity in less than ninety degrees of rotation. Apertures are selected with the click-stop diaphragm. Excellent depth of field scale.